Rip-roaring fun! Love The Gruffalo? Now meet the original picture book monsters. When Max makes mischief wearing his wolf suit, he’s sent to bed without any supper. 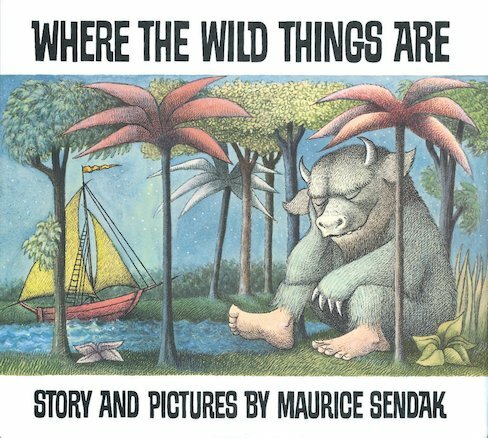 But then a forest sprouts in his bedroom, and he sails to the land of rumpus where the Wild Things are. Join these fearsome beasts as they dance in the moonlit forest, gnashing their savage jaws and waving their claws. Trouble is, they want to eat Max! Can he show the Wild Things that he’s king of them all? What Kind of Wild Thing Would You Be?